Burning Minds Music Group is excited to welcome Pierpaolo 'Zorro' Monti as new official A&R director. Zorro appeared on the music scene as artist for the first time in 2010 thanks to the release of the international studio project Shining Line (produced by his long-time friend Alessandro Del Vecchio). The album is considered by many to be the first important stone laid in a new beginning for the Italian melodic rock movement, followed by the involvement of Zorro as drummer and songwriter in the fundation of another winning AOR project, Lionville. Two years later, he showed his abilities as a producer for the first time, thanks to his studio work on the Charming Grace album. The project marked the beginning of his professional collaboration with Davide 'Dave Rox' Barbieri. Their partnership continued with the production of Room Experience's debut album, released in 2015. This project increased his artistic appreciation from melodic rock fans around the world. The same year, he reunited a significant part of the Italian melodic rock scene with the "I.F.O.R" alliance ("Italian Forces Of Rock"), managing, co-writing, co-producing, and recording the anthemic rock single "We Still Rock". After providing songwriting contributions for several other studio albums, he announced (once again with artistic partner Davide 'Dave Rox' Barbieri) he was starting work on Raintimes, an international melodic rock band. The album received acclaim from critics and fans alike, following its release last year via Frontiers Music S.R.L. 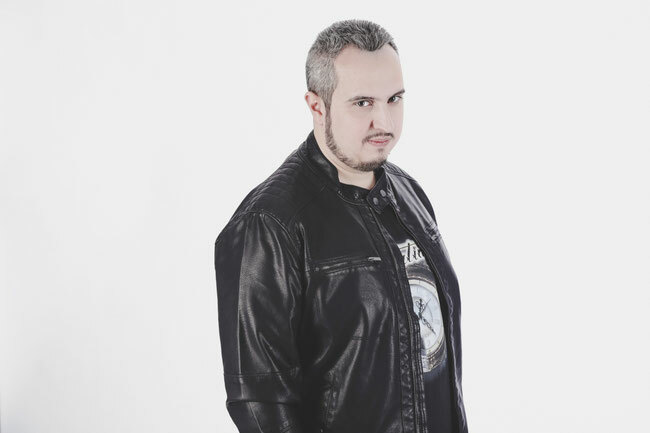 "I’ve known Zorro for fifteen years, back when we shared our passion for rock and metal music, writing together on a known, online music webzine. At that time, neither of us thought about having such a deep involvement in our beloved music as we do today. Our paths crossed again back in 2016, when, with Street Symphonies Records, we offered to reissue his Shining Line album. I immediately realized, thanks to the work we’d done in the promotion of this great CD, how hard he worked through the years to create something special on the Italian melodic rock scene. His legion of contacts and his competence have been fundamental to promoting Shining Line's reissue. Because of our long-time friendship, I asked for his advice, and his suggestions were invaluable during the creation of Burning Minds Music Group. I’m sure that, with his knowledge and enthusiasm, we'll be able to improve our work together with the goal of supporting our artists in the best way possible. I’m extremely happy to welcome Zorro officially to our family". "Since the reissue of my Shining Line album back in 2016, I've been pleased to see how passionate Stefano Gottardi and Oscar Burato are in supporting the artists on their roster, despite owning just a small independent label. One thing that I personally appreciated in them was their humbleness in approaching people in this business, no matter if they were artists, media, or commercial partners. This is really hard to find today in the music scene. This became much clearer when they asked for my suggestions for building Burning Minds Music Group. They showed great respect for my work through the years with my personal music projects, my support of the Italian melodic rock scene, and the organization of selected live events. A couple of weeks ago, they unexpectedly asked me to join their team as new official A&R director of Burning Minds Music Group, and my answer was an immediate and enthusiastic "Yes!". Our common goal is to build a safe but exciting home for the passionate artists out there, especially those searching for a label willing to encourage the start of many artistic partnerships. I have spent many years creating new and exciting collaborations for my personal studio albums, and now I would like to share my experience in order to become a valuable asset to all the skilled artists who still believe in the artistic side of this art. My aim is to share their talent and form alliances with their colleagues around the world". tagPlaceholderTag: Burning Minds Music Group, alessandro del vecchio, Room Experience, Pierpaolo 'Zorro' Monti, A&R director, Shining Line, Lionville, Charming Grace, Davide 'Dave Rox' Barbieri, "I.F.O.R", "Italian Forces Of Rock", "We Still Rock", Frontiers Music S.R.L.